October is here. I love October, but then it’s the month in which my birthday falls, so I’m biased! Build Greater Confidence by Approaching Practice Like a Surgeon (Bulletproof Musician) – Why reflective practice is more effective. I’ll admit it… I’ve made a mistake (Teach Piano Today) – But is that mistake detrimental to learning music? 10 Exercises to Practice When You’ve Run Out of Ideas (Jazz Advice) – Although aimed at Jazz players, these tips are great for improving sight-reading, aural skills, composition and general all-round musicianship. In Praise of Slow Practice (Classical Mel) – Why sometimes it’s really important not to rush through when practicing. 15 Ways to Fill Your Child’s Piano Practice Tank (Teach Piano Today) – Here are some lovely ideas for all you parents hoping to motivate your kids to practice more. Choosing a Balanced Diploma Programme (Dr Marc’s Blog) – An old post, but one which came to my attention this week for anyone interested in putting together a diploma or recital programme (the advice is true for any age and stage). Don’t motivate. Inspire. 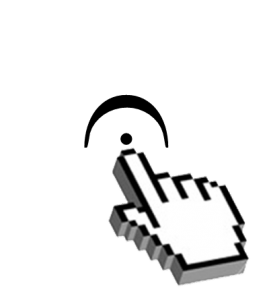 (La Dona’s Music Studio) – A very important difference we teachers need to remember. Introducing ‘Messy Piano’ or ‘Alternatives to spoon feeding’ (The Curious Piano Teacher) – Some thoughts on why too much planning, structure and organisation can be a bad thing for teaching and learning. Questioning students while they work (Teaching & Learning Music) – Ten questions to help students think about what they’re doing when they’re composing. Ten Tips for Marketing Your Students (Music Teacher’s Helper) – Ten great ideas to help build up student numbers. Young, gifted and back in the theatre (Guardian Theatre Blog) – Some interesting new research that suggests more teens and young adults are going to the theatre than ever before. Serve without being asked (Speak Schmeak) – Can you be flexible enough in public speaking to go off-script when the situation demands it? This entry was posted in Friday Favourites, Regular Columns and tagged friday favourites on 4th October 2013 by .